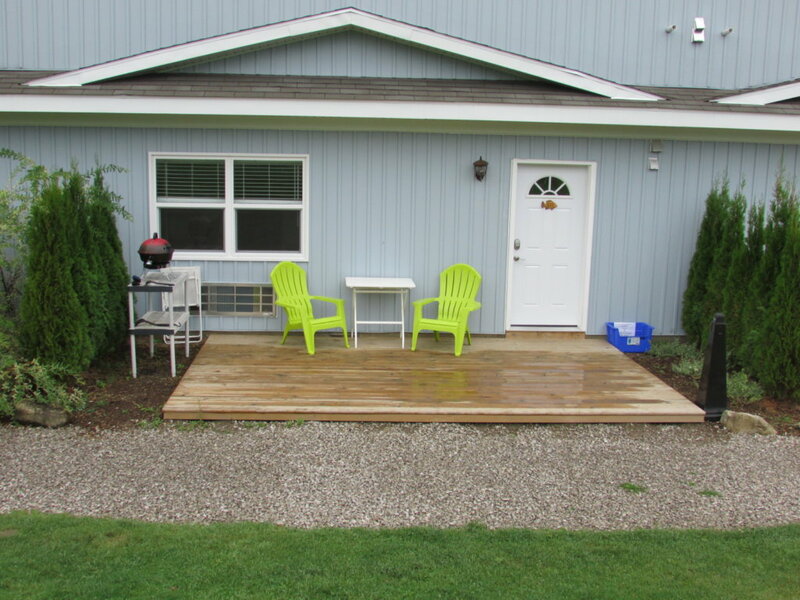 This cottage has 2 bedrooms (each with a queen bed), 1 – 4 piece bathroom with tub/shower, fully equipped kitchen, dining area, double futon pullout couch, cable TV, WiFi, small portable propane BBQ (you buy the small green propane tanks). We supply the bed linens, one set of towels, all kitchen appliances (fridge, stove, microwave, toaster, coffee maker), cooking and eating utensils (pots and pans, plates, glasses, knives, forks, spoons). 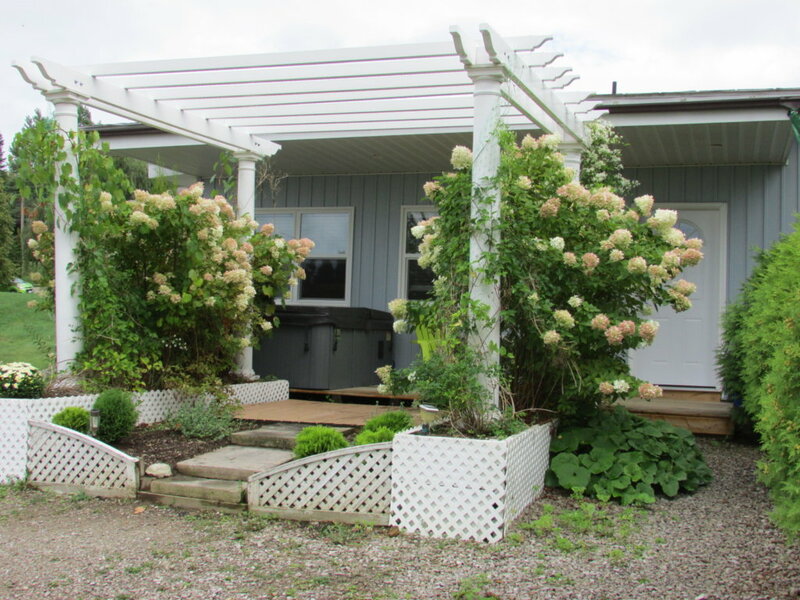 This cottage has 2 bedrooms (each with a queen bed), 1 – 4 piece bathroom with tub/shower, fully equipped kitchen, eating area, double bed futon pullout, cable TV, WiFi, small portable propane BBQ (you buy the small green propane tanks). We supply the bed linens, one set of towels, all kitchen appliances (fridge, stove, microwave, toaster, coffee maker), cooking and eating utensils (pots and pans, plates, glasses, knives, forks, spoons). It has a 2 person hot tub on one of its 2 private decks! 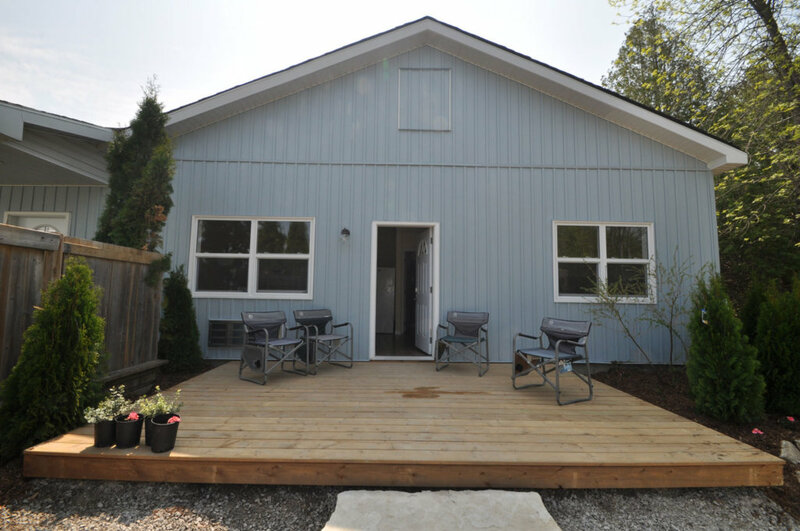 This cottage has 2 bedrooms (each with a queen bed), 1 – 4 piece bathroom with tub/shower, fully equipped kitchen, eating area, double futon pullout couch, cable TV, WiFi, private deck, small portable propane BBQ (you need to buy small green propane bottles). We supply the bed linens, one set of towels, all kitchen appliances (fridge, stove, microwave, toaster, coffee maker), cooking and eating utensils (pots and pans, plates, glasses, knives, forks, spoons). 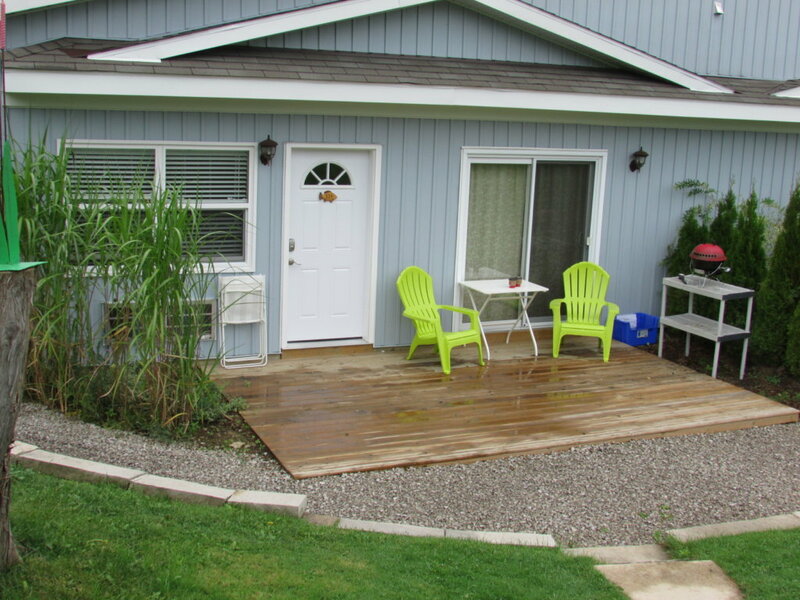 This cottage has 2 bedrooms (each with a queen bed), 1 – 4 piece bathroom with tub/shower, fully equipped kitchen, dining area, double futon pullout couch, cable TV, WiFi, private deck, small portable propane BBQ (you buy small green propane tanks). We supply the bed linens, one set of towels, all kitchen appliances (fridge, stove, microwave, toaster, coffee maker), cooking and eating utensils (pots and pans, plates, glasses, knives, forks, spoons).